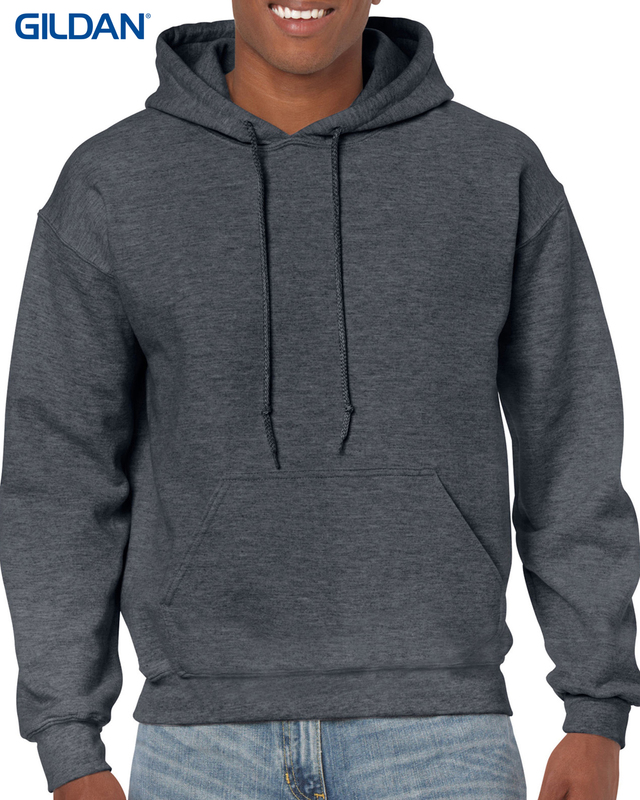 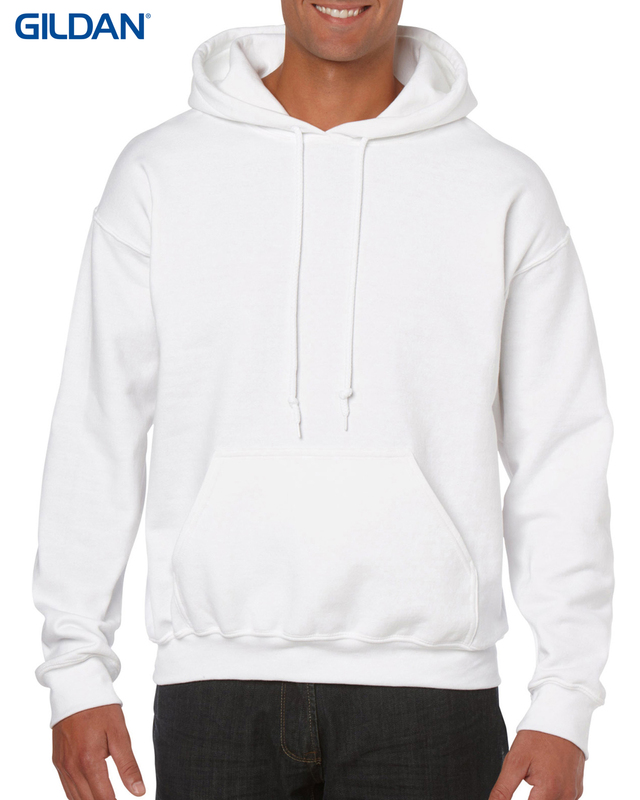 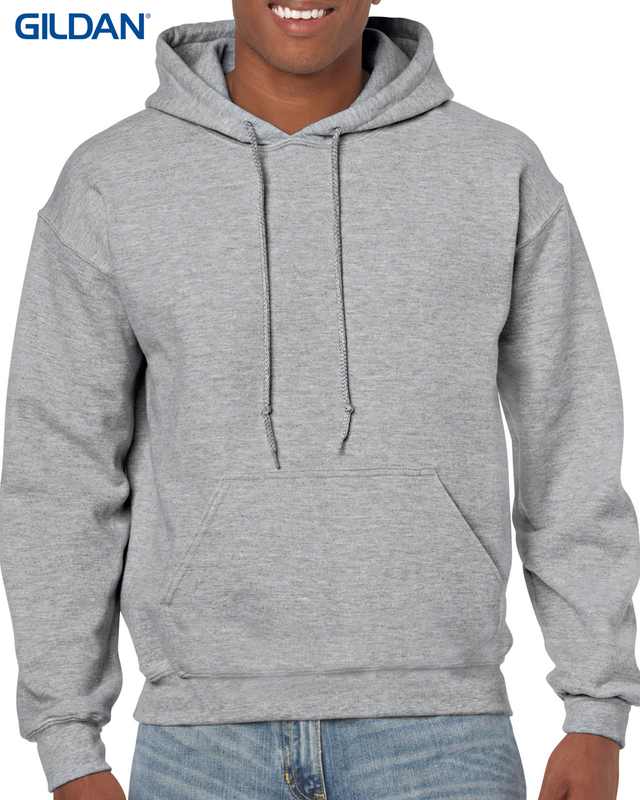 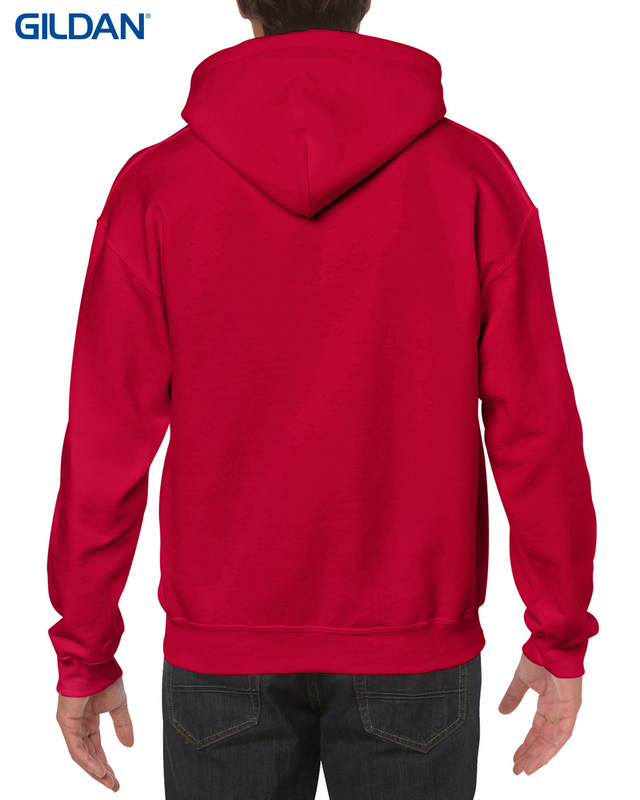 Mens Gildan G18600 Hoodie (no zip) 50/50 Cotton/Polyester 270gm. 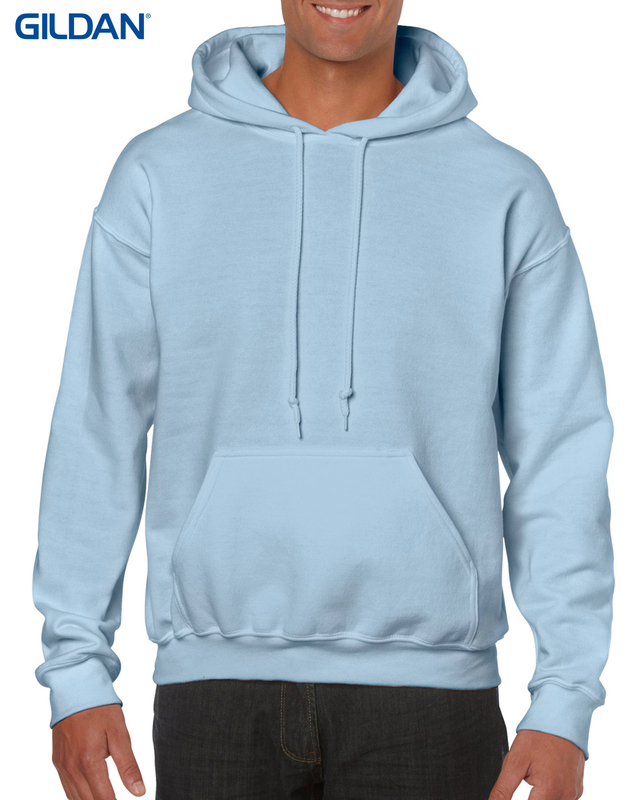 Pouch pockets, double needle stitching waistband & cuffs. 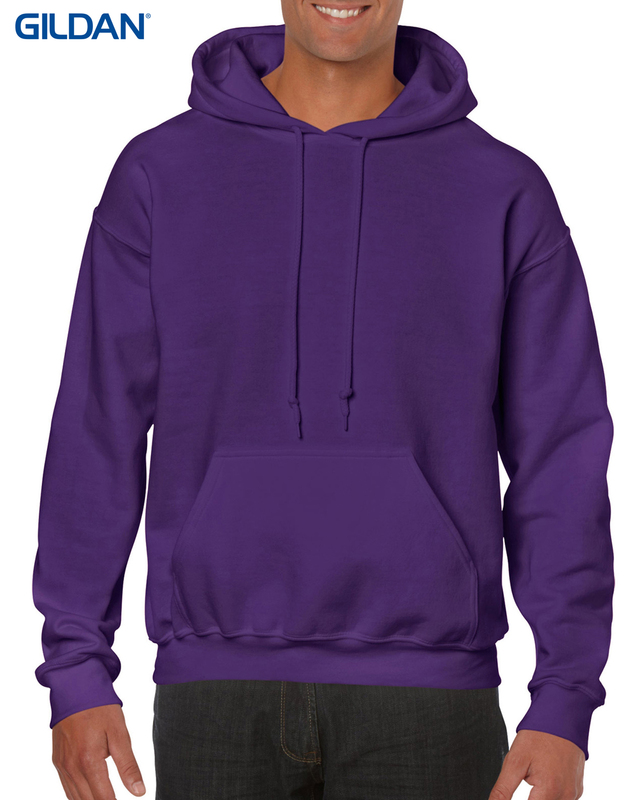 20 colours, sizes S-XXL.